Welcome to Ballpark Ratings! My name is Cole Shoemaker, and this has been an ongoing project I have worked on during the tail end of the ballpark building boom, launching in 2012. Ballparkratings.com scrutinizes all major league baseball stadiums and spring training ballparks to a degree never seen before, implementing a comprehensive ratings system based on setting, architecture, functionality, and amenities. This website also features a number of independent research articles that examine the debate (and my opinion) about the history of ballparks, the new wave of retro ballparks, design and architectural trends, the growing business of premium seating, and other logistical specifics: how does it reflect our evolving society from a macro perspective? 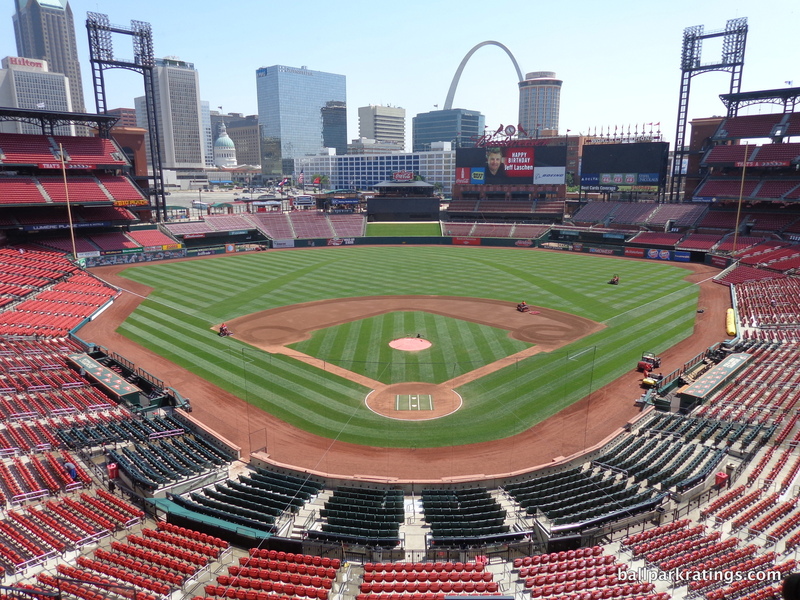 Each ballpark features a photo gallery with 300+ photos, showcasing not only interior and exterior shots, but pictures that are more difficult to find on the internet, such as the concourses, club lounges, suites, concessions, restaurants, etc. All photos are taken by me. Ones without a watermark are just older. While there is a “comments” section at the end of each specific ballpark review, please contact me at cole@ballparkratings.com or Facebook if you have any questions or comments. Facebook may be quicker. If you have a question about a specific ballpark, no matter how obscure, please ask! Definitely feel free to comment on the ballpark reviews, as the old comments couldn’t be transferred to our new layout in 2017, so it looks kind of lonely! Also, contact me if you have any interest in writing an article yourself for this website. Thanks! Hello Hello! I finally created a Facebook page. Like us on facebook! The 2019 season is upon us, and I look forward to an exciting year. A long-form piece ranking, rating, and reviewing all spring training facilities has been released!. It’s just so unique in sports to have a separate pre-season venue that is in many ways better for experiencing baseball than the primary venue. Only in baseball do fans travel hundreds of miles to see their team in sold out venues at cheaper prices. Baseball had the ingenuity to make it a win-win for fans, while basketball and football fans pay high prices at inappropriately scaled regular season venues for pre-season games. Spring training provides for lower ticket prices, better sightlines closer to the field, unencumbered access to players in unusually quaint situations, sold-out crowds, and laid-back atmospheres, but often with some of the amenities resembling major league parks such as varied concessions, destination tiki bars, social spaces, premium clubs, party decks, and kids’ play areas. 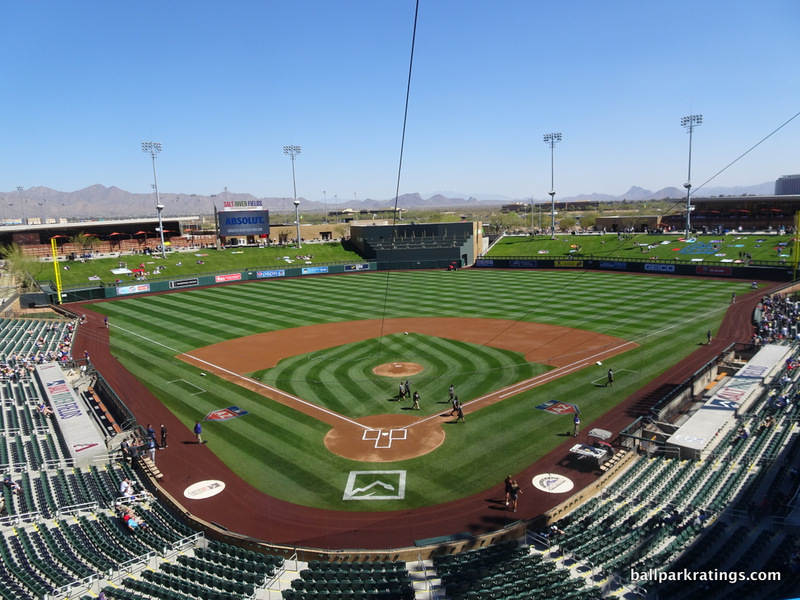 Beyond the relatively high and renewed quality of the venues, spring training baseball is especially conducive to comparing teams and ballparks. It may take a lifetime for a die-hard fan or ballpark fanatic to see all 30 major league venues, but fans can easily see all 23 spring training ballparks (seven clubs share parks) in two springs. Even I can’t easily experience the year-to-year changes at every MLB park, but any stadium nerd can experience most (or all) spring training ballparks on a yearly basis. There’s also something incredibly cool about teams importing their particular regional tastes, local flares, local fans, and various signature elements all to one region. 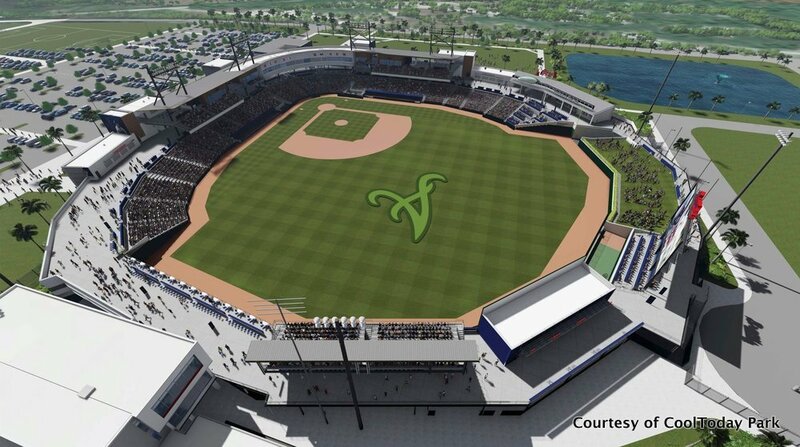 In addition, our preview of the Braves’ new CoolToday Park in North Port, FL is out. The Braves will play one game there on 3/24 before formally relocating in 2020. The (somewhat) underrated Nationals Park is hosting the 2018 MLB All-Star Game. Just in time for the MLB All-Star Game festivities, I released the full, in-depth review of Nationals Park! 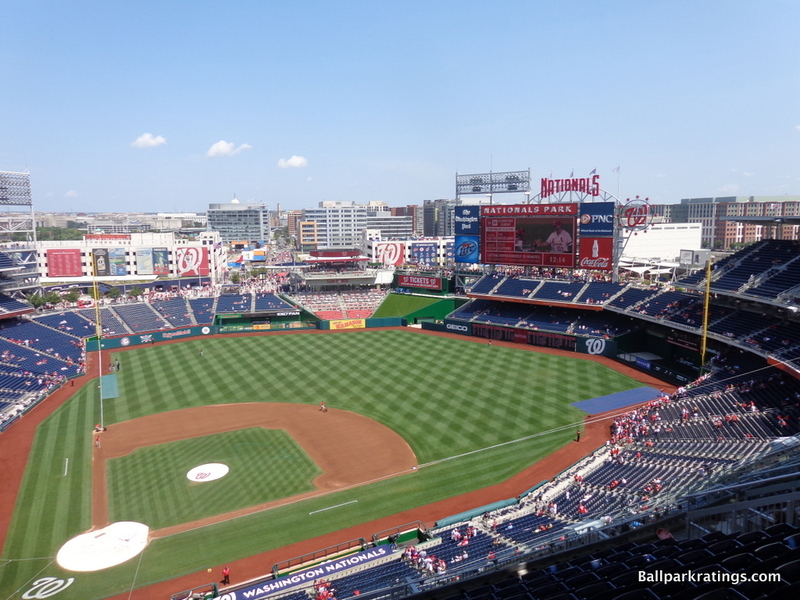 For reasons I outline in the review, Nationals Park has always gotten somewhat of a bad rap from the national press and ballpark aficionados. While it fell far short of expectations, it consistently provides a very good ballpark experience in just about every respect. As the Navy Yard continues to improve, look for Nationals Park to get even better, too. 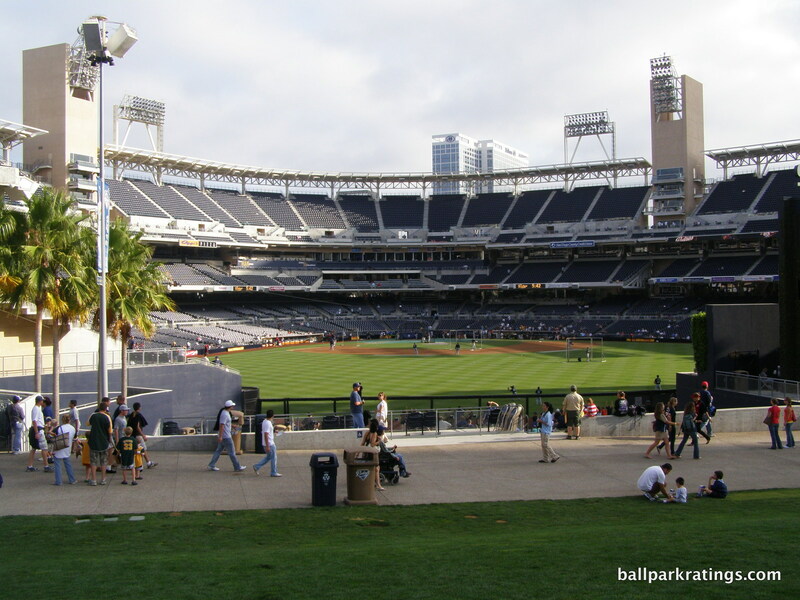 A new, in-depth review of Petco Park has been released, which we have as the best ballpark in baseball. As usual, Wrigley, Fenway, and Dodger are excluded from that analysis. We can have a conversation about the classics, and then we can talk about the other 27 ballparks in the majors. That starts with a newly released article (2/25) outlining 2018 spring training ballpark changes. Here is our feature article for the spring: Comparing spring training ballparks in Florida to those in Arizona. Photo Galleries have been added for EVERY spring training ballpark! All 27 ballparks have been rated and in many cases re-rated, excluding the classic Dodger Stadium, Wrigley Field, and Fenway Park, for reasons explained in those reviews. 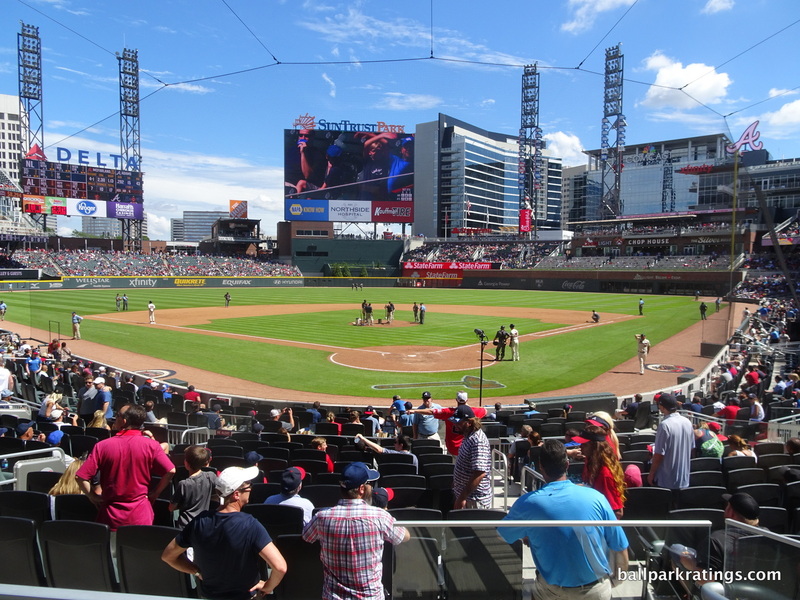 New in-depth review of SunTrust Park, the new 2017 home of the Atlanta Braves! All 27 ballparks have now been ranked, excluding the classic Dodger Stadium, Wrigley Field, and Fenway Park, for reasons explained in those reviews. 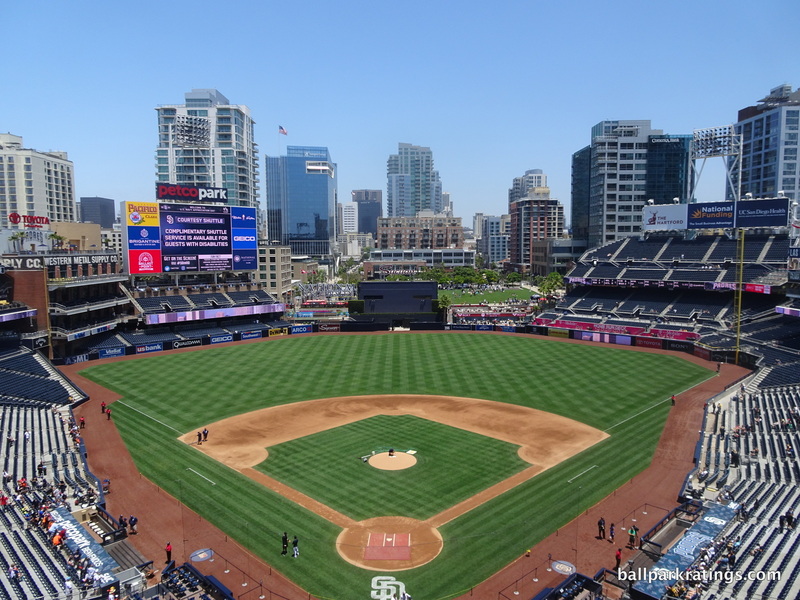 Significantly revamped review and rating of Petco Park. All photos in the gallery are new, along with vast majority of the content. An in-depth review of the Atlanta Braves’ new SunTrust Park has been released! Clocking in at over 15,000 words, this is my longest review ever, and will be my longest and most comprehensive review for the foreseeable future (other upcoming reviews aren’t as long). Not only do I provide in-depth analysis of the setting, architecture & aesthetics, functionality, and amenities, but I also take time to discuss the three larger implications I see at SunTrust Park for the ballparks of the future. We provided some much needed new content throughout 2017, and we plan to take that to the next level throughout 2018. Much of the original content, especially the independent articles, date back from 2010 (written before website launch) to 2014. 2018 is a huge year for ballparks all across spring training and Major League Baseball, and we want ballparkratings.com to be a part of that. I will be using the Facebook page for periodic updates and announcements relating to everything above. The most significant ballpark evolution throughout the past seven years has been an increase in the importance of social spaces. “Restaurants” has always been shorthand for “Accessible Restaurants/Bars/Sitting Areas,” which will change to “Accessible Restaurants/Bars/Sitting Areas/Social Spaces.” The rating will change from x/2 to x/5. There can be much differentiation between post-1991 ballparks here. I am excited for my 20th consecutive year of spring training! After returning to the Cactus League last spring, we turn back to Florida with an ambitious schedule. We will cover a good amount of ground in Florida, starting in the Jupiter/Palm Beach area, then going all across the west side of the state before ending at the Disney complex near Orlando. 10 of 13 Grapefruit League venues will be visited this year. I will post profiles from past visits of the other 3. 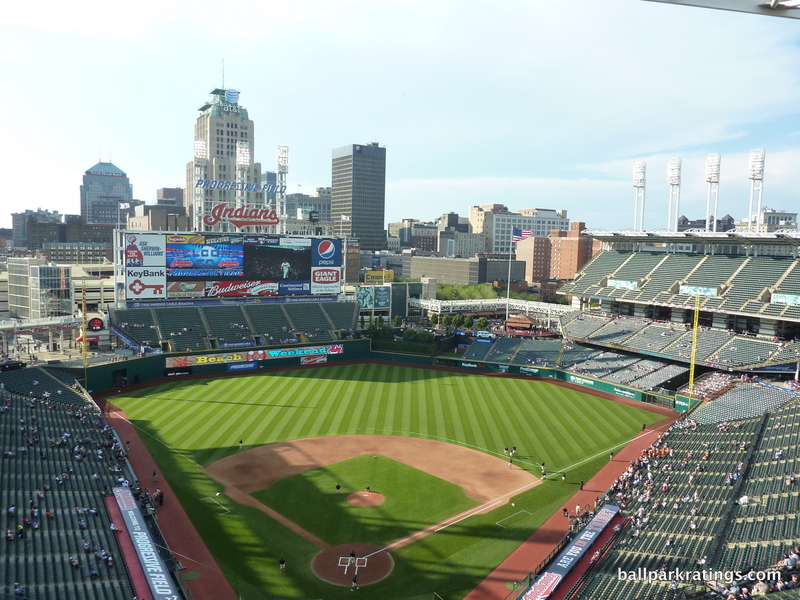 Progressive Field, Petco Park, and Busch Stadium will be/have been rerated and re-reviewed! These parks have undergone a lot of changes during the decade. SunTrust Park has opened to generally positive reviews. Atlanta’s pad is seen as the model for ballpark mixed-use development, and it’s amenities will burst the scale in our ratings. But it’s the only ballpark I can remember with so little spoken about its architecture and aesthetics upon opening, which is telling. Perhaps that no longer matters. Minute Maid Park underwent the most significant renovations in major league baseball in 2017. Tal’s Hill was removed, and a bevy of new amenities were added in and above its former location. Most notable are three different bars, the addition of Shake Shake and Torchy’s Tacos, and the new centerfield group space. Yankee Stadium added a number of fan friendly social spaces in the offseason. New places to hang out were added in the outfield, main concourse, and the upper deck. They also added a new kids area. The amenities were always great at Yankee Stadium, but they’ve now been democratized for all fans. 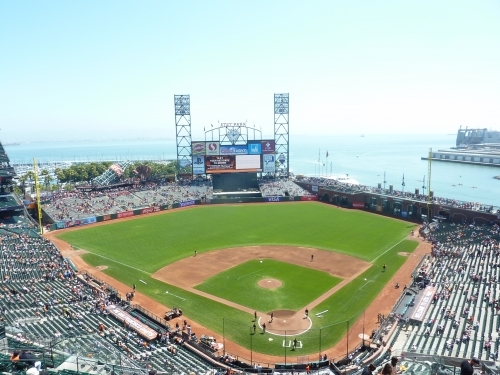 On the edge of McCovey Cove, the Giants ballpark has the best views in all of baseball. While Camden Yards is generally seen as the poster child of the ballpark building boom, AT&T Park is the biggest success story of the era, constructed with private financing and generating a huge boost in attendance. Like I said, no ballpark transformed a team and its fan base quite like this. Once you couple these factors with transcendental water views and amazing amenities, you easily have one of the best ballparks in baseball.